The Ireland Women’s team have taken a lesson from their male counterparts by hiring a head coach who hails from Cork by the name of O’Sullivan! Cobh man John O’Sullivan will be hoping to have as much success as his namesake Eddie, having officially been appointed as coach to the girls in green on Wednesday. Philip Doyle guided Ireland to a fantastic eighth place finish at last September’s Women’s Rugby World Cup in Canada. O’Sullivan has already named a training squad of 36 players – 22 from the World Cup squad and 14 newcomers. 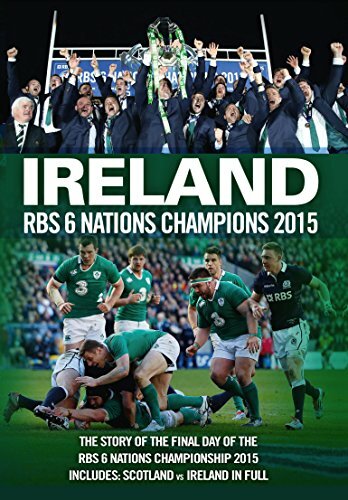 Ireland start their six nations campaign on February 3rd, against Wales. Marie Barrett (Highfield), Louise Beamish (UL Bohemians), Sarahjane Belton (UL Bohemians), Gillian Bourke (UL Bohemians), Rachel Boyd (Cooke), Orla Brennan (Blackrock), Lynne Cantwell (Richmond), Debbie Clarke (Blackrock), Fiona Coghlan (UL Bohemians), Grace Davitt (Blackrock), Sinead Delany (Boyne), Chris Fanning (Highfield), Jeannette Feighery (UL Bohemians), Nicole Fitzgerald (UL Bohemians), Suzanne Fleming (Cooke), Amanda Greensmith (Shannon), Laura Guest (Clonakilty), Germaine Healy (Rathdrum), Shannon Houston (Blackrock), Mairead Kelly (UL Bohemians), Jessika Limbert (Cooke), Jean Lonergan (Clonmel), Caroline Mahon (UL Bohemians), Kerry Maxwell (Cooke), Louise McKeever (Dundalk), Caitriona Nic Caba (Newbridge), Yvonne Nolan (Blackrock), Deirdre O’Brien (UL Bohemians), Paula O’Connor (Shannon), Kate O’Loughlin (Clonmel), Eimear O’Sullivan (Clonakilty), Joanne O’Sullivan (Richmond), Janet Reid (Cooke), Tania Rosser (Blackrock), Sinead Ryan (Navan), Deirdre Scannell (Clonakilty).